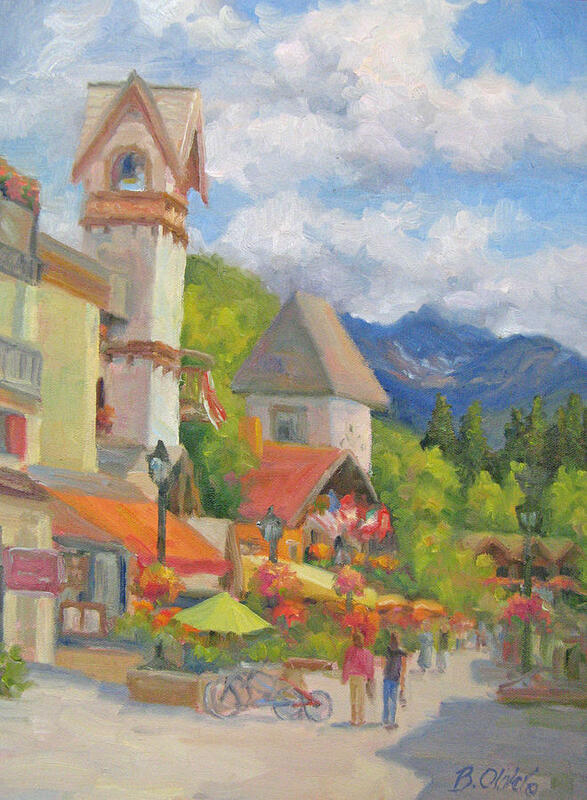 Bright Summer Day is a painting by Bunny Oliver which was uploaded on October 6th, 2010. Fourth of July Weekend in Vail--beautiful weather--people having fun! Reminds me of walking in Vail. Nice work and colors!